The Peanut Gallery Playschool begins enrollment annually in late February for the following summer and school year. During the school year, we maintain an ongoing wait list which families are welcome to join at any time. Once our returning families have confirmed their schedules for the coming summer and/or school year in mid-February, we begin general enrollment with first priority given to siblings and alumni. Although some consideration is given to balancing age and gender across the daily roster, enrollment from the wait list is generally done on a first come, first served basis and we make our best effort to meet the needs of the next family in line for placement. In the event that we have mid-year openings, we will fill spots from the wait list as they become available. We offer two to five day scheduling options for two and three year olds and three to five day scheduling options for children four and older as of September 1st. Our regular school day runs from 8:30am to 2:30pm and we have after care available until 5:30pm Monday through Friday. We do not have set schedules and will do our best to place families on their preferred days, taking into consideration the need to balance enrollment throughout the week and within our pre-kindergarten cohort to support our small group work. *Tuition includes total costs for enrollment and we do not have any additional fees associated with enrollment or attendance. A non-refundable deposit for the first full month's tuition is due at the time of enrollment and is applied in full towards the first month's tuition payment. Returning families are also asked to put down a smaller non-refundable deposit to hold requested schedules for summer or September of the following school year when they confirm their enrollment in February. This too is applied in full towards tuition due in July or in September for families who will be continuing with us for another school year. Annual tuition rates are set each year in July and will remain the same through June of the following year. Tuition is prorated to account for holidays, breaks and potential emergency closures (such as those due to inclement weather) and divided into twelve equal payments. Monthly tuition rates are fixed will be due in full regardless of individual attendance or school closures. Annual tuition rates adjustments reflect the rising costs of operation, including appropriate increases in teacher compensation and healthcare benefits. Children four and older as of September 1st will be automatically included in our pre-kindergarten cohort. 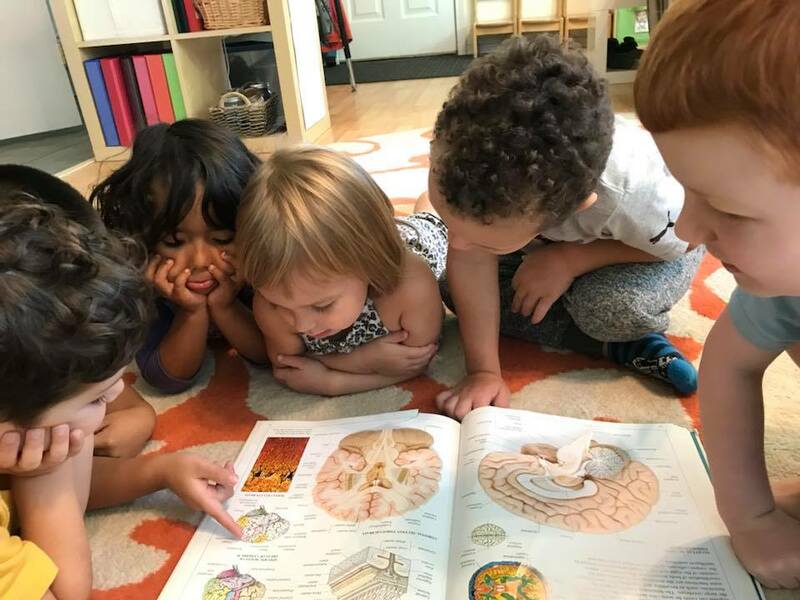 Our pre-k cohort is designed to give our oldest children the opportunity to work together in a small group throughout the week to dive in deeper into project work and expand the skills and knowledge that will help them to feel confident entering kindergarten and excited about the adventure ahead. Learning experiences and projects are centered around emerging interests of each year's unique group of four and five year olds, meaning each year brings new and exciting explorations. Through surveying local kindergarten teachers, we have identified areas of learning and growth that teachers have observed in their classroom as being the foundation of children's self-confidence and a smooth transition to the kindergarten classroom. With this information in mind, pre-kindergarten projects and experience are imbedded with targeted opportunities to build each child's social, emotional, communication, fine-motor, self-management, self-care and early literacy and numeracy learning. In addition to introducing and exploring developmentally-appropriate academic skills, we also stress the importance of building the less quantifiable, yet critical skills in helping children feeling confident and successful throughout their transition to grade school. These include working collaboratively, negotiating conflicts and challenges, peer mentoring, managing and communicating emotions effectively and appropriately, as well as practical skills such as zipping and buttoning coats, proper pencil and scissor grips, and managing personal hygiene. All of this builds on learning we do with all ages in our classroom and as the year progresses, our pre-kindergarteners are able to cement these abilities through teaching and modeling for their younger peers. If you would like to add your child to the wait list, please submit this form. For more information or to inquire about a visit or our annual open house, please contact us. Please leave detailed information about your scheduling needs and/or flexibility, including number of days, specific days and after care. If you would like us to contact you about enrollment at the earliest possible opportunity following your child's second birthday, please enter your child's birthday. Otherwise, please enter the earliest you would like to be contacted about enrollment should we have a spot available. Feel free to add anything additional you would like us to know.